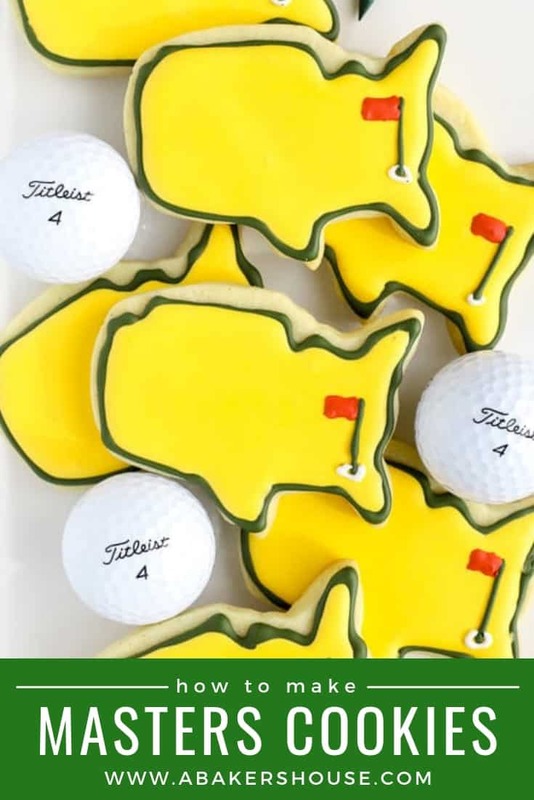 Masters Golf Cookies are perfect for the golf fans in your life! 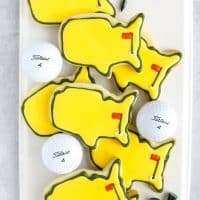 Make these decorated sugar cookies to celebrate the annual tradition of golf at Augusta National, to cheer on youth golfers at the Drive, Chip and Putt competition, or to honor a birthday celebration for a golfer! Baking cookies for special occasions is a joy and whether you are a beginner or well-practiced, you’ll find that decorated cookies share happiness with others. 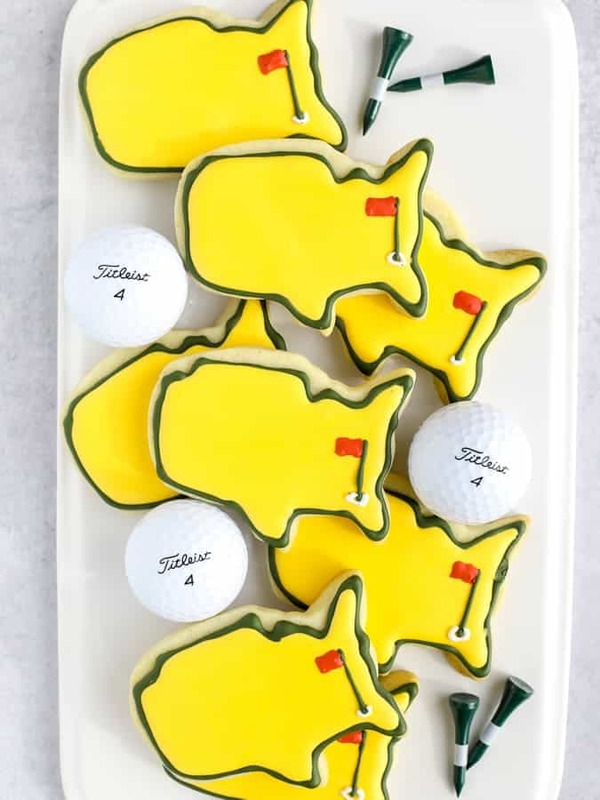 If you are a sports fan like me, you’ll enjoy making these hole in one golf cookies, baseball cookies, football cookies, bowling cookies, or basketball cookies! If you are a golf fan, you’ll know that the Masters tournament is an annual spring event held each April. It is hosted at Augusta National in Augusta, Georgia. The top male golfers from around the world gather to compete at this famed location. The winner gets the green jacket, as well as a trophy and a large monetary prize. In 2019 the final day of the Augusta National Women’s Amateur tournament is being held at Augusta National as well. On the same weekend the final round of the highly competitive youth golf event, Drive, Chip and Putt is hosted on Sunday morning and televised nationally. Drive, Chip and Putt is growing in popularity each year. It is a golf skills competition where golfers do their best at– you guessed it– driving, chipping, and putting! Kids progress through local, sub-regional and regional events and only a select few make it to the National finals at Augusta. 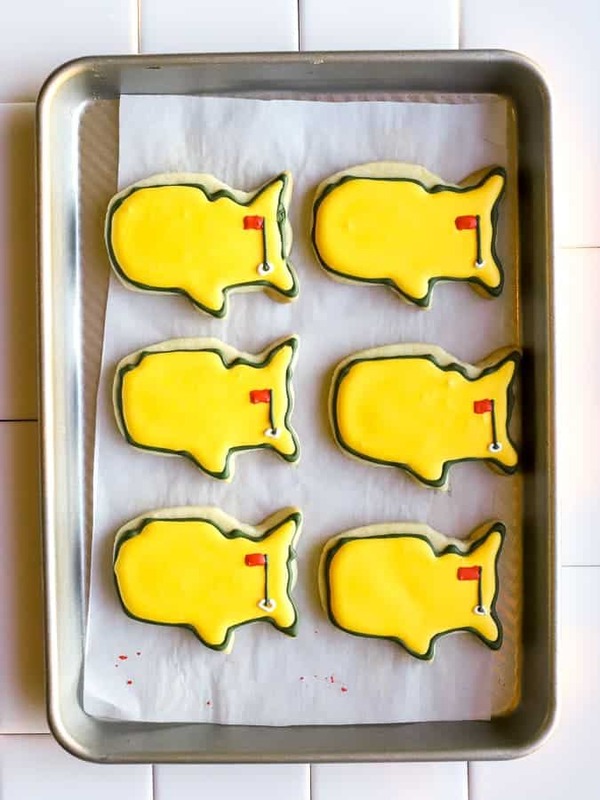 Birthdays are another occasion that call for golf cookies. A Masters themed party can honor any aged golf fan! I made these cookies to honor my dad’s birthday so you can see there are plenty of reasons to bake these sugar cookies. 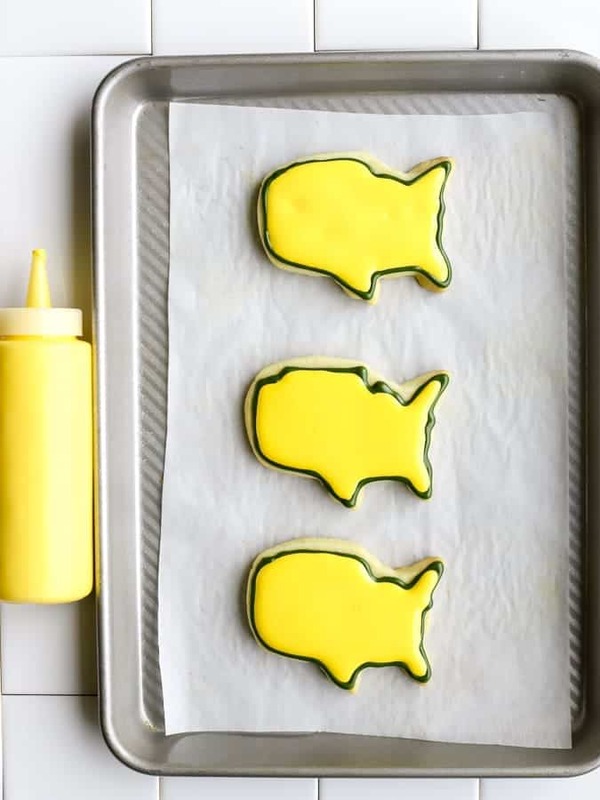 Make sugar cookie dough and cut out shapes that look like the United States. Outline the cookies with green icing. Fill in with yellow icing. Finish with a golf flag on the right hand side. The logo of the Masters golf tournament is the shape of the United States with a red golf flag in the location of Augusta Georgia. The text of “Masters” is included on most Masters memorabilia. The actual image and font that says “Masters” would be under copyright and it’s my understanding that personal bakers cannot use logos without permission. Please note that I am not selling these cookies and am not making any profit from these cookies. 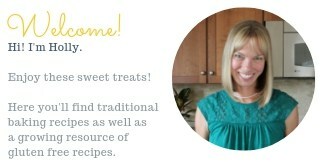 I simply made them for personal use to share with family and friends. Read more here about copyright issues in baking. You will need a cookie cutter similar to this one of the map of the USA. 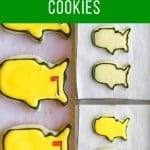 You’ll also need icing colors to make the outline in green (as well as the flag stick), yellow to fill the cookie, and red for the flag. I use Wilton gel-based food coloring. Royal icing is easy to whip up using meringue powder. Follow the instructions on the package of meringue powder for great results. The icing tips needed is a Wilton No. 2. You could complete the entire cookie decoration with the No. 2 icing tip or you could use a more narrow tip (No. 1) for the flag pole. Another option is to use an icing squeeze bottle similar to these to apply the fill icing color (in yellow). 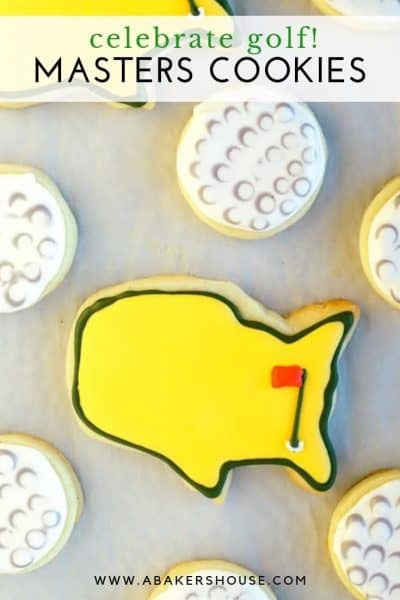 Celebrate the annual tradition of the Masters golf tournament with these golf cookies! 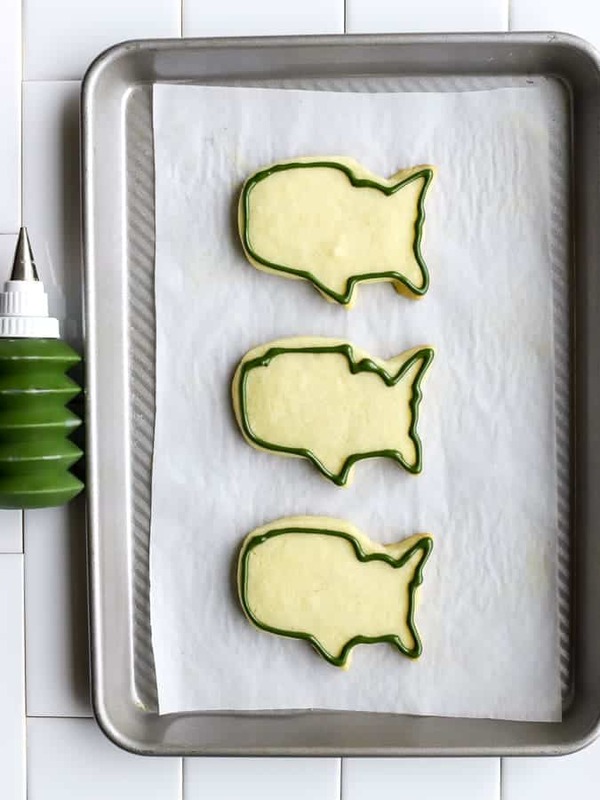 Follow the outline of your cookie to make the shape of the United States in green thick outline icing. Let the icing set for five minutes. Use the green icing to draw a straight line for the golf flag stick. Add a small red rectangle for the golf flag. Let the cookies dry overnight before stacking them or packaging in individual bags. Go slowly. Icing cookies is not a fast process. In fact, making royal icing iced cookies is very time consuming. Take your time. Be organized. Write notes before you mix colors into the white icing labeling what colors you need. I use sticky notes and label my containers with reminders such as: green outline icing, yellow fill icing, etc. 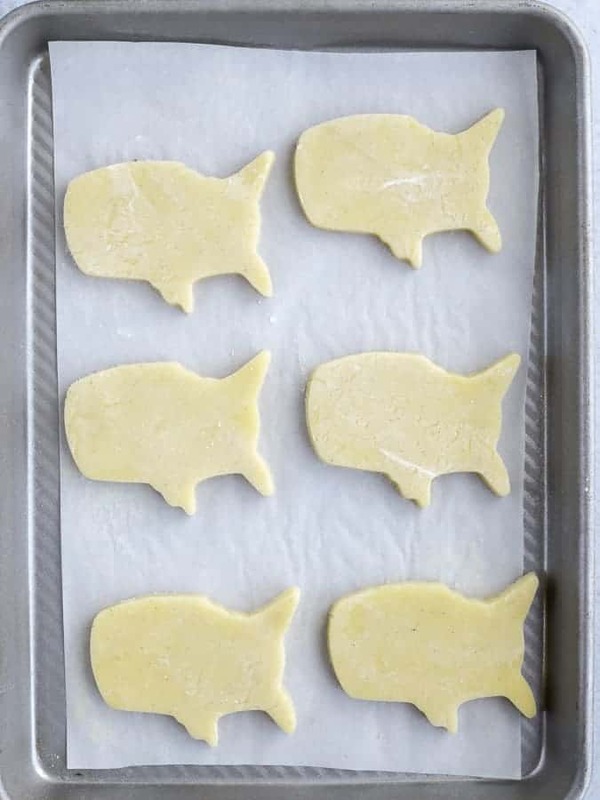 This will help to remind you that some icing needs to be thicker for outlines and other needs to be thin to fill the interior of the sugar cookies. Icing colors tend to darken as they dry– even into the next day– so plan accordingly and don’t be too hard on yourself if the color is not precisely what you had in mind. Let the cookies dry in between steps where needed. And of course, give the finished cookies at least a day to dry before you package them or stack them. Be patient and kind with yourself. If you make a mistake– don’t worry!– these are only cookies and you’ll enjoy eating them no matter what your final masterpiece looks like. Oh how cute. I have a girlfriend who has a party during the Masters. I got to pass this post along to her, she will love it. A Masters party sounds like fun!